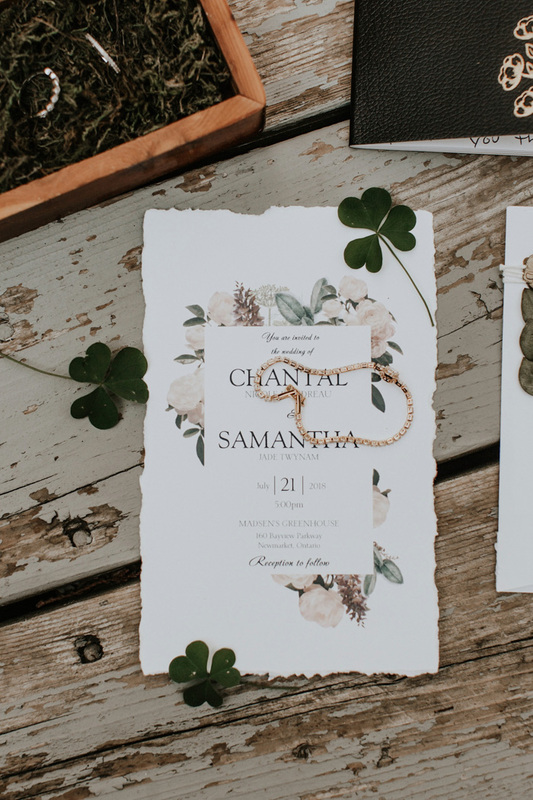 When Samantha and Chantal wanted to be close to nature, feel airy and intimate on their big day, and they did it in a beautiful way. 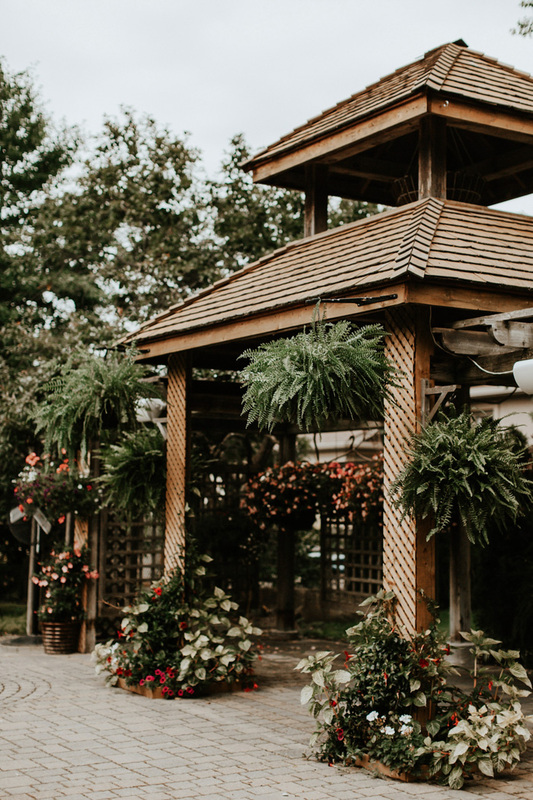 Let’s take a look at it! 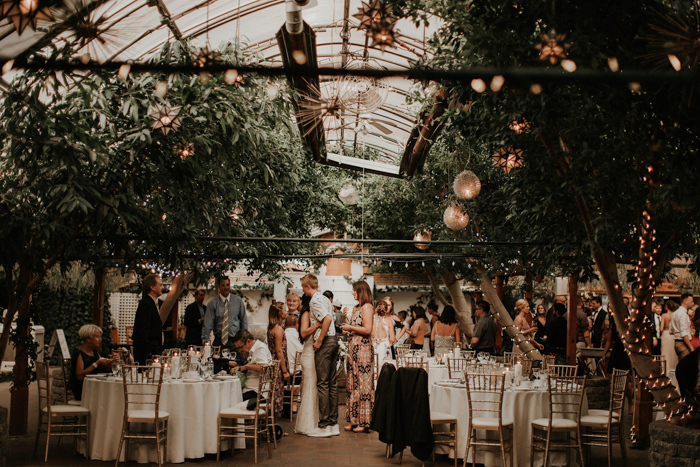 The couple chose Madsen’s Greenhouse, which featured a distinctly whimsical vibe. 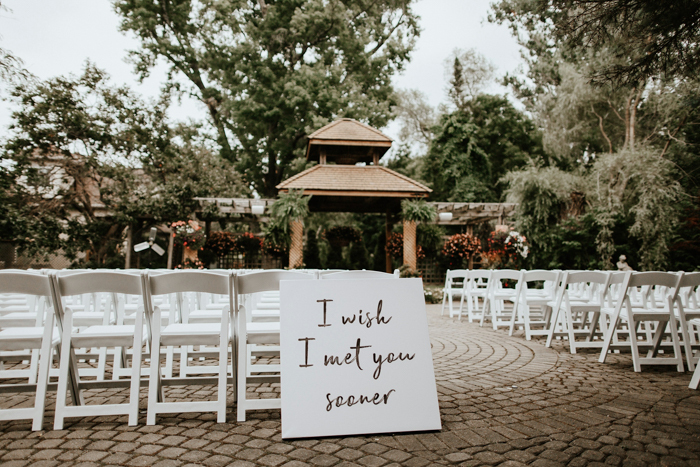 Because of the lush, secret-garden feel of the space, the brides’ minimalist and modern decor were the perfect finishing touches to bring a personal touch while allowing the venue to still feel airy and bright. 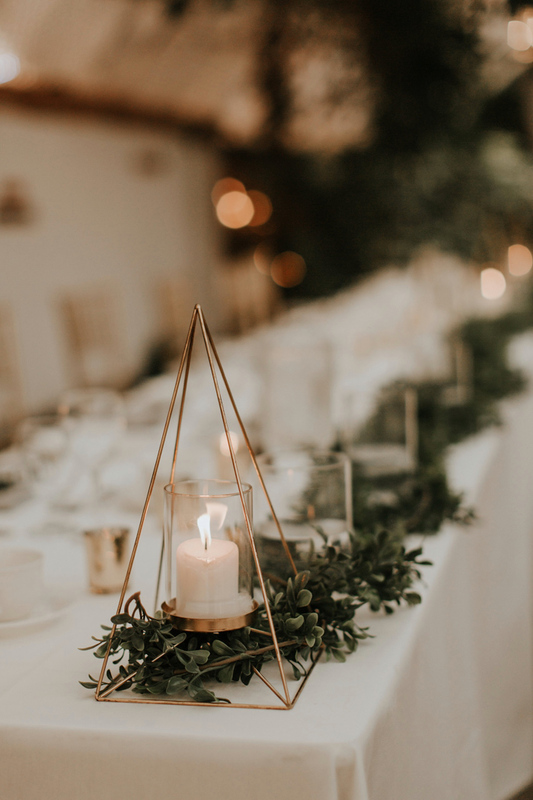 The floral palette was kept crisp with white flowers and loads of greenery. 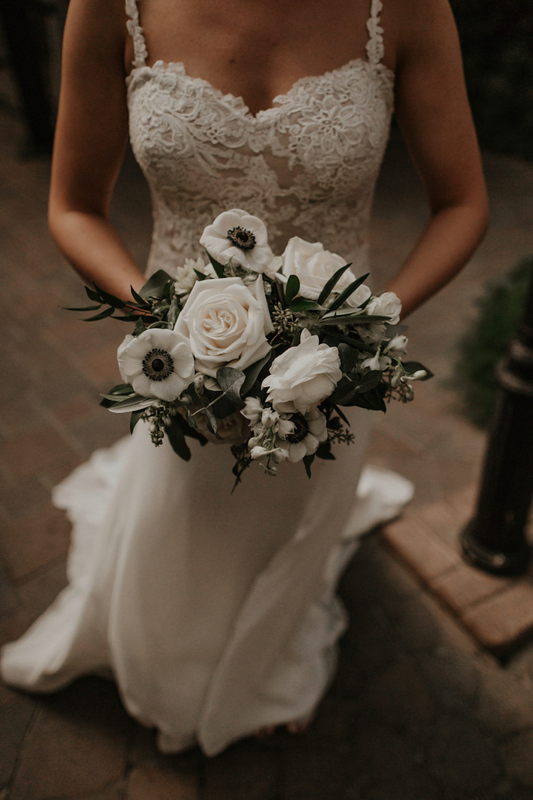 The wedding bouquets were done with white blooms and greenery, too. 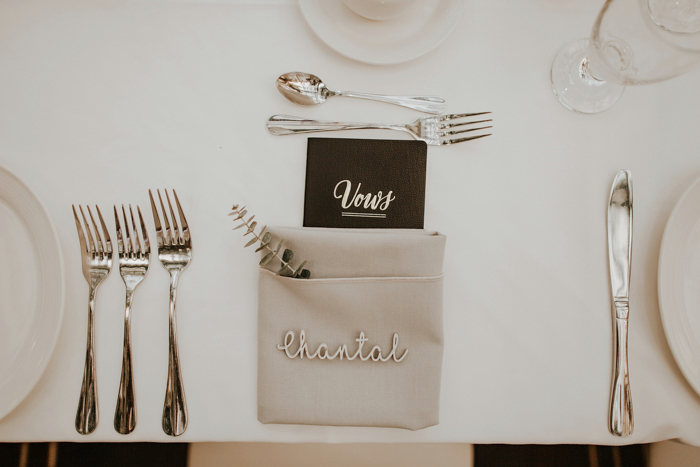 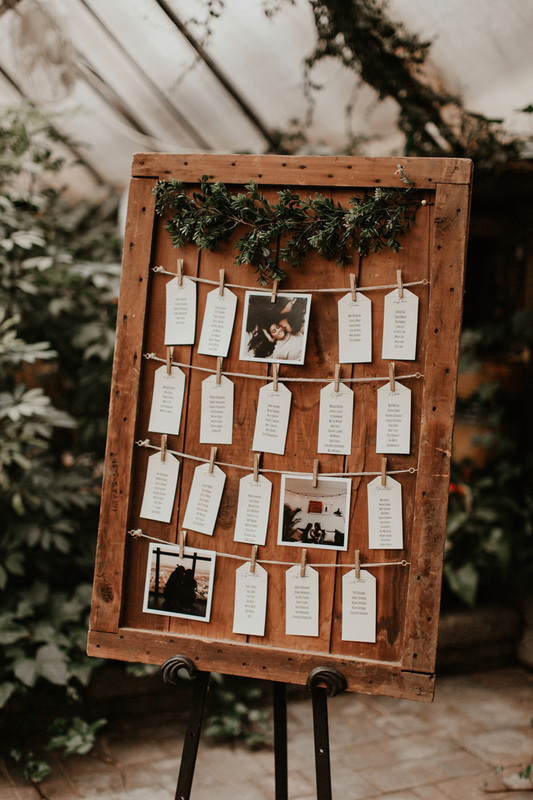 The wedding reception tables were decorated in a modern way, with wooden table numbers, in black and white, with eucalyptus and other greenery. 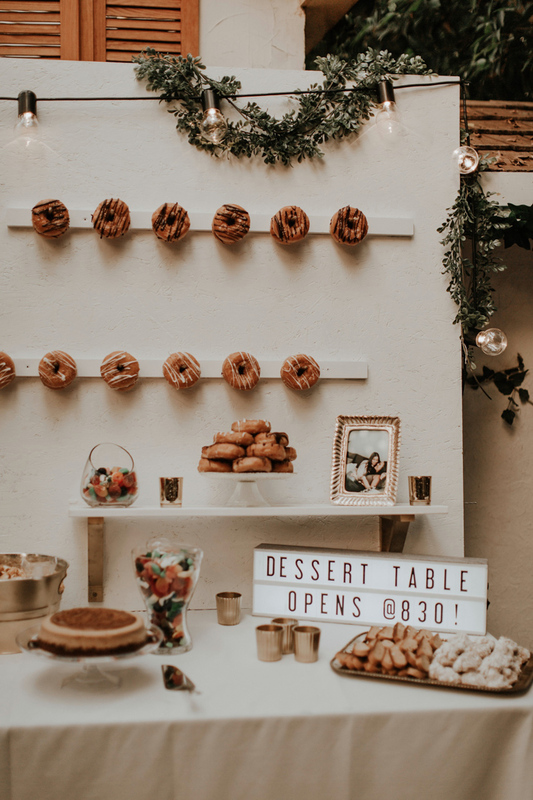 Artsy Baker filled a donut wall and dessert table with treats that would satisfy even the biggest sweet tooth! 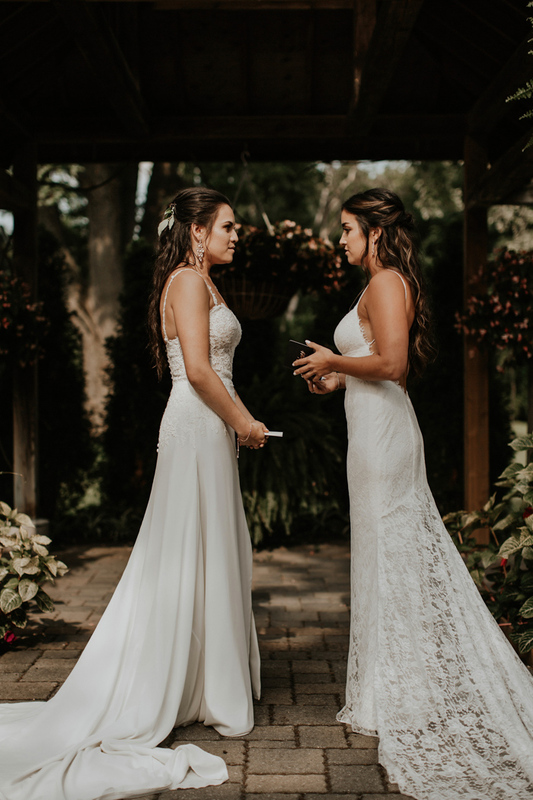 Both brides chose mermaid spaghetti strap wedding gowns, one dress was with an open back, train and completely of lace, the second gown was with a lace bodice, a train and a buttoned back. 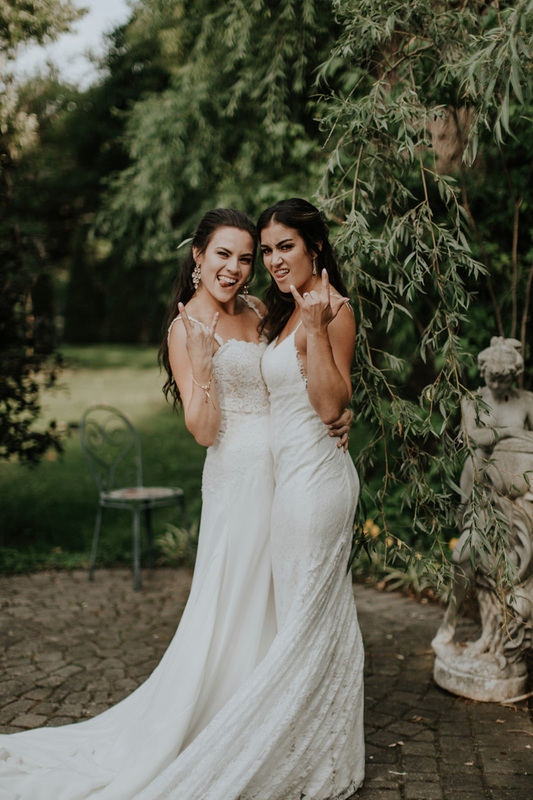 The girls were rocking statement earrings and romantic wavy half updos. 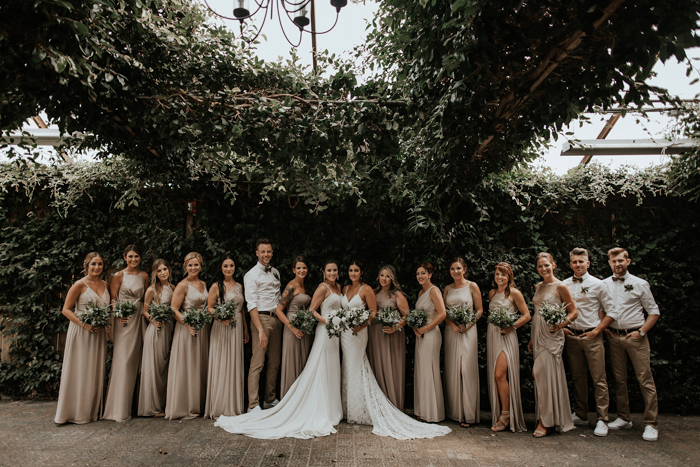 The bridesmaids were wearing mismatching neutral draped maxi gowns, the bridesmen were rocking neutral pants, white shirts and bow ties.